Auto-Plas are delighted to be the UK’s leading manufacturer of glazing cassette systems. 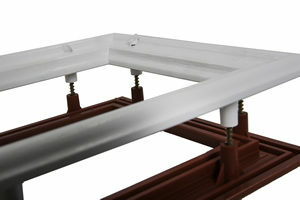 Designed to securely retain the glass within external composite doors, we design and manufacture a variety of cassettes for use within all sectors of the composite door market. .
Our cassette systems are supplied in size variations to suit door thicknesses of 44-70mm and double and triple glazed units from 25.5 to 50mm thick. Cassettes are supplied in: ScrewClip and SecuroPlas fixing methods.  All of our cassette systems are certified to PAS 24 inudstry standards for security and are compliant to CE regulations. .
Our Glazing Cassette Systems can be configured to meet your unique door specifications to ensure that they fit perfectly with the overall look and composition of the door. We offer an extensive design range including variations in sizes, colours and finishes. With a lead time of as little as 3-5 days, our Essex based UK manufacturing centre will ensure that your glazing cassette systems are , punctually delivered directly to your premises via courier or our own transport. .
All cassettes are injection moulded in our Essex based facility by our manufacturing experts. Each cassette is individually inspected and packed by hand to ensure quality. Speak to our sales team today on (01245 428610 ), to find out how Auto-Plas can help you with all of your Glazing Cassette requirements. Our Glass Reinforced Plastic products are incredibly versatile and can be used in a variety of applications. Where considerations such as fire ratings, impact resistance and weight are important, our GRP products can be custom made to meet your unique specification and qualified using our rapid prototyping system at low cost. Providing an accurate initial process for feasibility studies and cost assessment. The thermally efficient structure of our GRP panels mean that they offer a light weight and durable structure, all made to your exact specifications. Our GRP Infill Panels are 28mm thick for easy installation within standard window profile. Standard panels are made from a high density thermal foam core and encapsulated in a 2mm thick, continual weave Glass Fibre shell. This product is ideal for entrance door side lights, decorative replacement of double glazed units and temporary installation where glass is damaged or required at a later stage. Manufactured and qualified to your requirements, we can fabricate any size, style, colour, finish and composition to the specification you need. If you are a door manufacturer , we can supply you with RTM door skins in traditional panel designs with woodgrain textures. Available completely colour matched, we can provide a paint finish in any colour,supported with a 10 year warrantee for adhesion and colour drift. Manufactured using a RTM process and continuous weave glass matting, our RTM Door Skins ensure consistency, strength and durability. All door skins are 2mm thick as standard and customisable to suit your requirements. We can even create bespoke designs to meet your own individual specification.